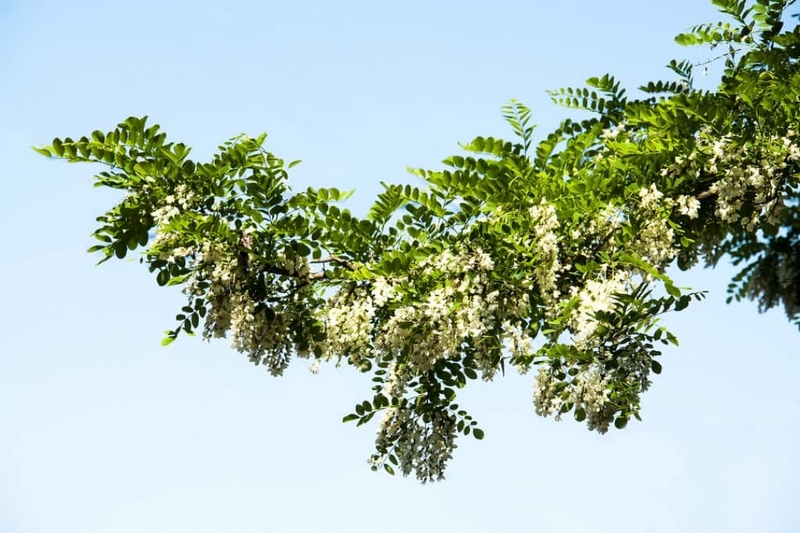 Locust (Robinia): growing, planting, caring. A deciduous tree that like any member of the pea family, grows vigorously in poor soil. Robinia - commonly known as Locust - is a genus of flowering plants in the pea family Fabaceae, native to North America and northern Mexico. They are deciduous trees and shrubs growing 4–25 metres (13–82 ft) tall, with leaves pinnate and flowers white or pink, in usually pendulous racemes. Many species have thorny shoots.